Prices go up when society collapses! 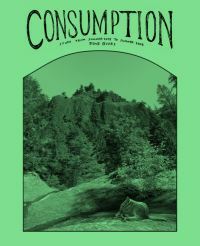 Each Consumption back issue is 40 pages, 7"x8.5"
costs four bucks, and is mostly cartoons. Here is a spinoff of Consumption, collecting all the bicycle related cartoons from Consumption 1-9. Browse here, or go to order page here. from before I started Consumption. Most of them were in the Caltech student newspaper between 1991 and 1994. This collection is 30 pages, or alternatively those same 30 pages plus 20 more pages of graphical short stories that I made between 1994 and 1998. 8.5x11"